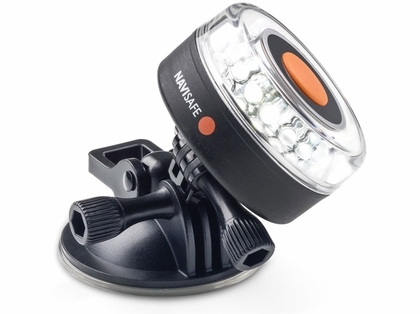 The Navisafe suction mount light "Navilight 360° 2NM" combines two successful Navisafe products into one - the Navilight 360° 2 NM and the Bendable Suction mount. The Navilight 360° 2NM is the ready to go Navigation light solution to be securely mounted on any kind of smooth and flat surfaces. The quick release suction cup releases with just one push of the lever so it can be stored quickly or mounted to another place or boat. Furthermore the suction cup can be used to hold a GoPro® camera (Hero / 2 / 3) when no light is needed - the mount is fully compatible! Navisafe supplies a 3M VHB self-adhesive "landing pad" to securely attach the light on abrasive surfaces and the innovative curved "landing pad" to attach the light on inflatable boats. 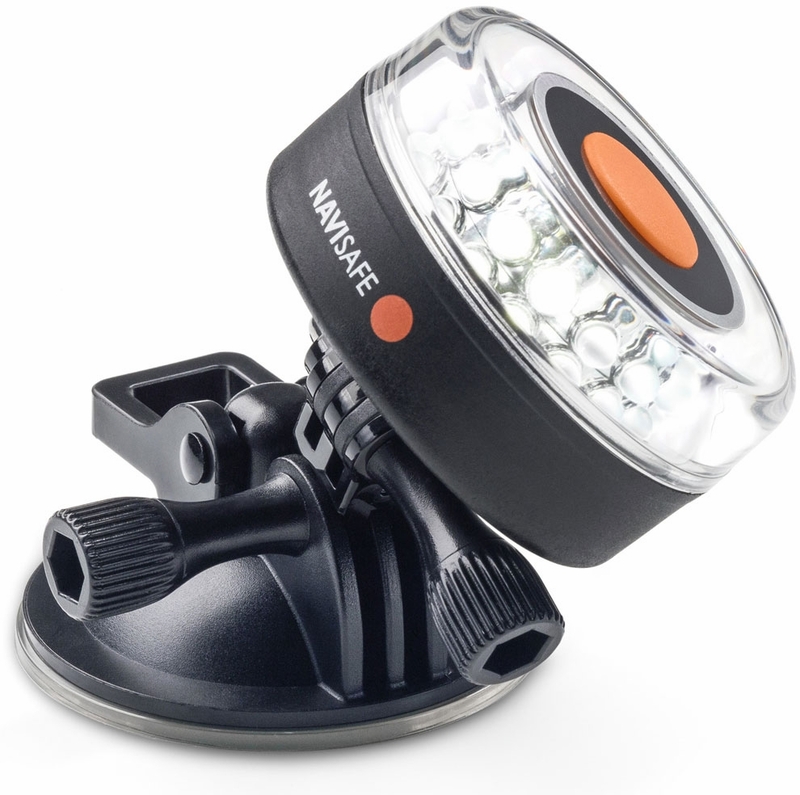 The Navilight 360° 2NM differs from the Navilight 360° 2NM through its mounting system - while the Navilight 360° 2NM is supplied with the Navisafe magnetic mounting system the Navilight 360° 2NM is directly fixed to a suction cup mount. The Navilight 360° 2NM can be easily mounted on all flat and smooth surfaces like the outboard engine, the steering console, the windshield or any place on the hull where the lights are seen best. Navisafe supplies a 3M VHB self-adhesive "landing pad" to securely attach the light on abrasive surfaces and a curved "landingpad" to attach the light on inflatable boats.